Tuesday, September 6 at 7:00 p.m. The second Japanese Heritage Night at Yankee Stadium takes place Tuesday, September 6 as the New York Yankees host the Toronto Blue Jays. 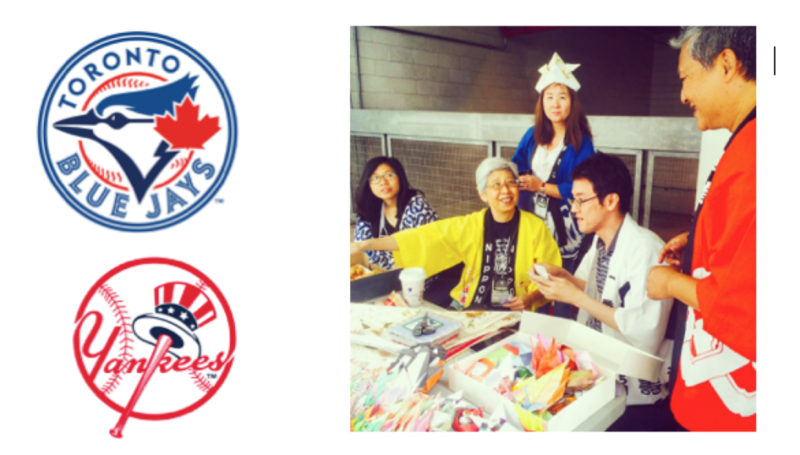 Origami Therapy Association will present an origami table, located on the 200 level concourse behind home plate. Fans can learn how to fold samurai helmets and other fun shapes before the important American League East battle begins. The Men’s Glee Club will sing the National Anthem on the field prior to the game, and the first 18,000 guests will receive a Yankees T-shirt presented by Sato. The Yankees are offering a special 50% discount for fans using the promo code JAPAN. To purchase tickets using this promo code, please click this Ticketmaster link.